Are Honeycrisp Apples Available Year Round? It’s clear these days that the Honeycrisp apple has become America’s favorite apple. Go to any grocery store during the heart of the fall harvest and I can about guarantee that the apples that are getting the biggest display and most attention is the Honeycrisp. I although the Red Delicious apple is still the most grown apple in the country by a long shot. 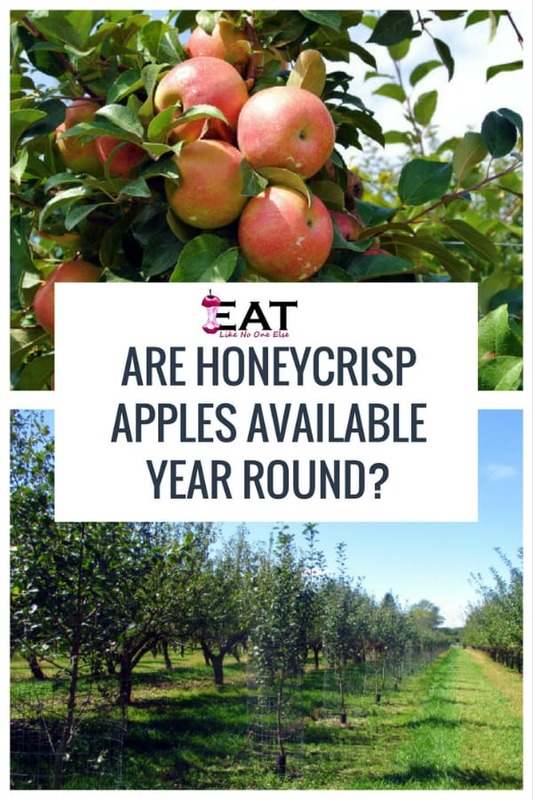 While apples like the Red Delicious, Gala, Fuji, Golden Delicious, and Granny Smith are easily available year round is the same true yet for the Honeycrisp? Sometimes you will see stores with signs or ads that say an apple is a new crop. This is how you know for sure the apple is from this year’s crop not coming out of cold storage. I have found before right before the Honeycrisp season begins (early September) some old apples showing up. If it seems early for them, it may very well be. Ask a produce worker if they know whether this is a new crop or not. The apple industry is really good at utilizing cold storage so that we have domestic apples all year round. Some varieties do better than others. While we have seen longer live out of Honeycrisp in the last 5 years, you will definitely notice a decline in quality as the temperature get colder. They are still crisp enough to eat into the winter months. But once we start getting into late winter and early spring, I find the quality to be so bad, you are wasting your money purchasing them. While they may still have some crispiness left, I find the flavor leaves a lot to be desired. I am amazed often that people just keep buying them long after they taste any good. And they are still paying the premium price for them. 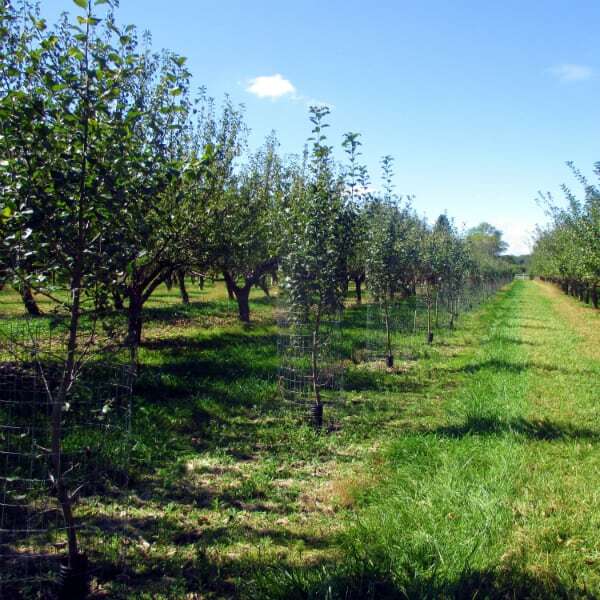 Some young Honeycrisp trees growing at Moore Orchards near Midland, Michigan. What Apple Should I Buy Once Honeycrisp Aren’t Any Good or Around? I have heard this question alot. Once the Honeycrisp is gone, what is the next best apple to buy. For the Honeycrisp lover I find that most people are satisfied with Pink Lady (also called Cripps Pink). The benefit of this apple is that it ripens at the end of the season and actually needs to be stored first. I had one in October, not long after it was picked and it was so tart, I couldn’t take it, had to spit it out. It mellows out over time and is crisp enough to satisfy Honeycrisp fans. 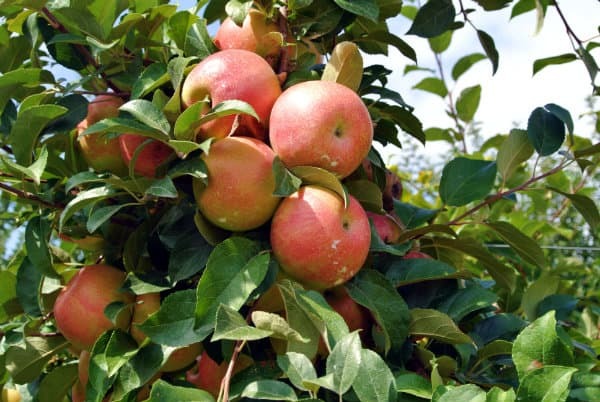 If you can locate it – the Lady Alice apple is released in the winter is a very flavorful, crisp apple that I like better than Honeycrisp. If you liked this post, make sure to check out my post on When Apples are Their Peak. Previous Post: « What is the Difference Between Cuties & Halos?